We can only keep our doors open with the skill, commitment, and encouragement of our staff and volunteers. In this communication, we will get the opportunity to learn a little bit about the special people who work at the MDAO. We celebrate the work and passion of the hundreds of volunteers who keep our doors open every day, and make no mistake – they make all of this happen. I am so proud to work at a place where we witness the journeys of thousands of people across Ontario; their courage and spirit encourage us and we are honoured to support them on their paths to recovery. MDAO is also a place where anyone – a loved one, a friend, a co-worker, a sibling, a grandmother – can come and talk to someone who has been there; we are unwavering in our emphasis on peer support. We strive to understand the needs of our participants and then respond to those needs. 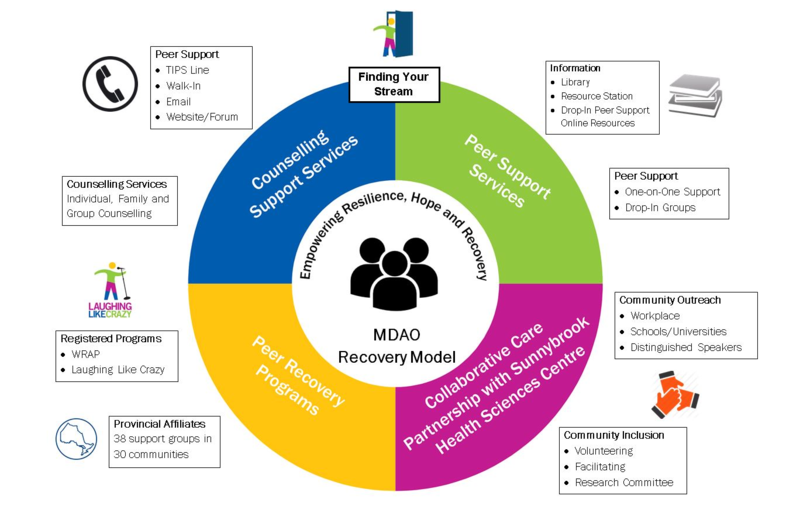 MDAO is committed to helping individuals and families recover and heal from mood disorders throughout the province of Ontario. I am thrilled to introduce to you our “Streams of Recovery” model. This model will help us to understand the needs of our participants and provide programs and supports which respond to those needs. We will help thousands of individuals and families on their paths to recovery and wellness. 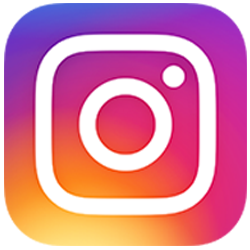 We will answer hundreds upon hundreds of questions and be a source of valuable information. We will assist people in finding the support they need, in learning about their illnesses, and in finding resources within their communities. We will support people’s ability to cope and survive and encourage their potential to heal, recover, and thrive.